Tim Grieco focuses his practice on construction and commercial litigation. Recently obtained a $1 million plus award against one of the country’s largest scrap processors after a Federal jury trial on a breach of contract claim involving the sale of copper scrap. Recently obtained an approximately $500,000 award against a major public utility provider in Ohio after a state jury trial involving the breach of a contract to design and build a substation. Recently served as trial counsel in a 21 day commercial arbitration involving the return of hosted litigation data from ESI vendor and other breach of contract claims. Recently served as trial counsel in misappropriation of trade secrets case in federal court, successfully obtaining multi-million dollar verdict against competing industrial shear manufacturer. 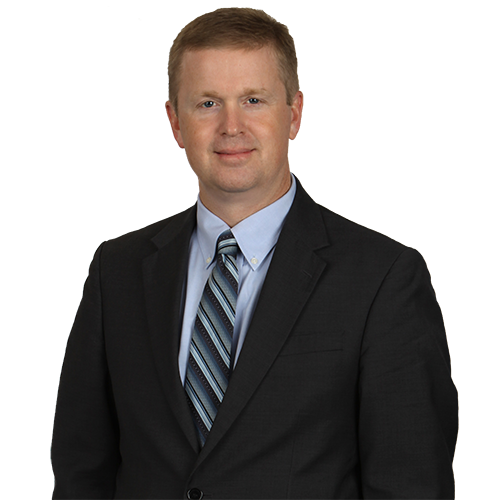 Recently served as trial counsel in misappropriation of trade secrets case in state court in Pennsylvania, successfully obtaining verdict in excess of $1 million against competing ammunition manufacturer. Recently served as trial counsel for Ohio industrial dismantling contractor against labor supply company from Louisiana, winning a breach of contract claim, counterclaim damages for lost productivity, and attorneys’ fees; the jury also rendered a finding of bad faith against the labor supply company; the case involved, in part, the Immigration Control and Reform Act of 1986 and I-9 Identification Requirements. Argued before the Commonwealth Court of Pennsylvania, Superior Court of Pennsylvania, and Court of Appeals of Ohio. Served as trial counsel for a local contractor in a lawsuit against a major utility company. After a two-week trial, the jury returned a multimillion-dollar verdict against the utility company. The judge also awarded the contractor its fees and expenses in an amount exceeding $720,000, under Pennsylvania’s Contractor and Subcontractor Payment Act. Represented a startup logistics and procurement company in breach of contract case against a major automotive parts company in arbitration. Represents contractors in various disputes (i.e., disputes regarding contract balance, change orders, delay/impact/acceleration claims) against school districts and municipal authorities. Represents various manufacturers in complex trade secret litigation in state and federal court. Litigates complex insurance coverage, shareholder dispute, and securities fraud cases. Argued before the Court of Appeals of Ohio regarding the legality of a stock restriction (a right of first refusal) imposed on already-acquired stock. Tim represented the company against the minority shareholder and successfully obtained the affirmance of the trial court ruling which upheld the validity of the restriction. Represented industrial company in hearing before the Public Utilities Commission of Ohio regarding back-charging dispute. Represents architects in various design defect, breach of contract, and fee dispute cases. Represents an industrial contractor in easement and UCC issues. “Updates to the Pennsylvania Contractor and Subcontractor Payment Act,” Eckert Seamans’ Construction Law Update, Fall 2018.